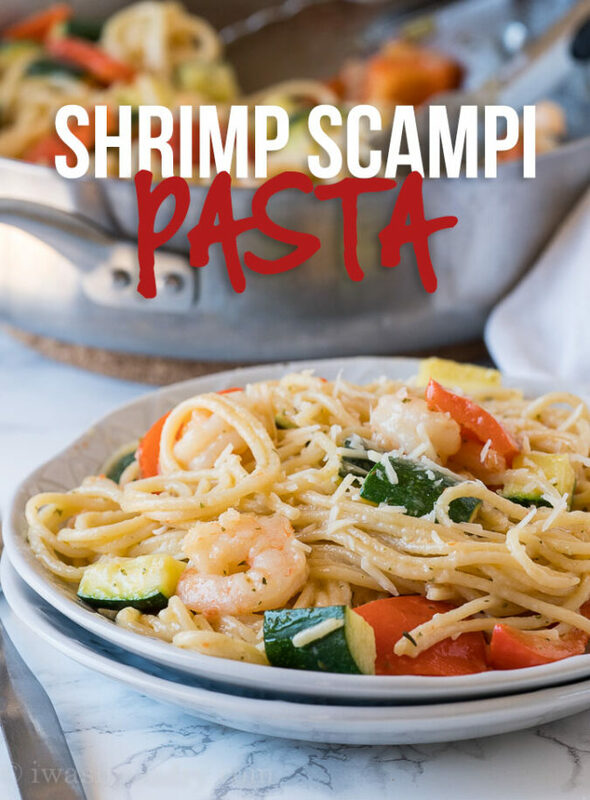 This Shrimp Scampi Zucchini Pasta is another fantastic 15 minute dinner that’s insanely easy and bursting with LOADS of flavor! This post is sponsored by SeaPak. I’ve teamed up with SeaPak once again to share another quick and easy dinner recipe with you guys. 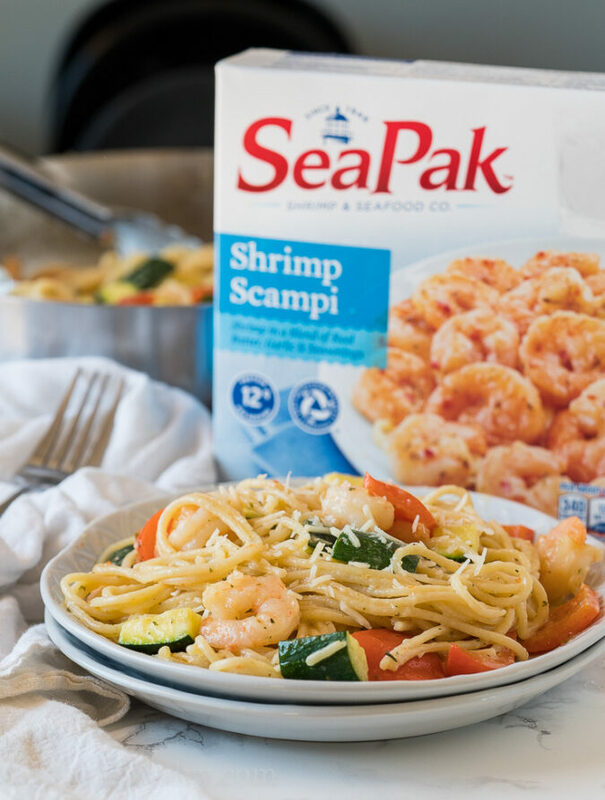 SeaPak makes it easy to enjoy a tasty seafood meal, especially when meal prep is the last thing on your mind. This dish literally comes together in less than 15 minutes and even my pickiest eater asked for seconds! I picked both zucchini and bell peppers to pair with the shrimp scampi because it’s Summer and those are the two items I can always count on in my garden. 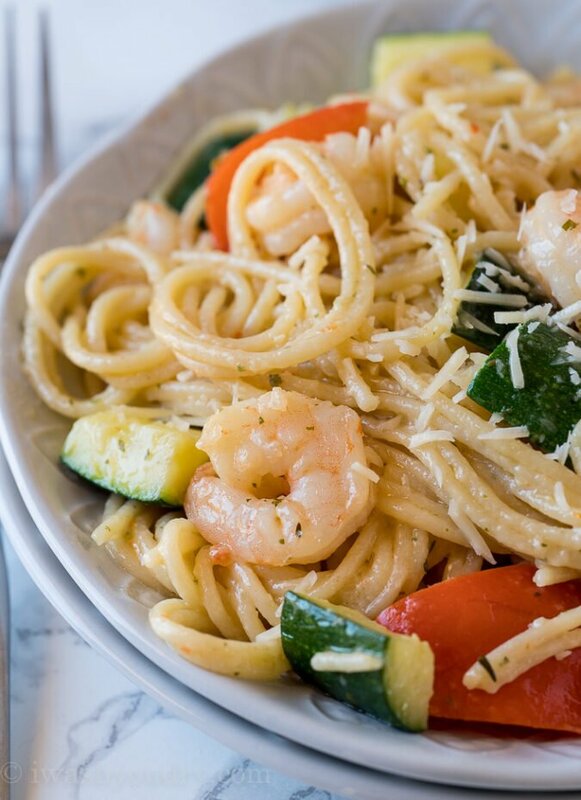 If you’re going low carb, try swapping out the pasta for zucchini noodles. Try serving this dish with rice instead of pasta for a fun twist. 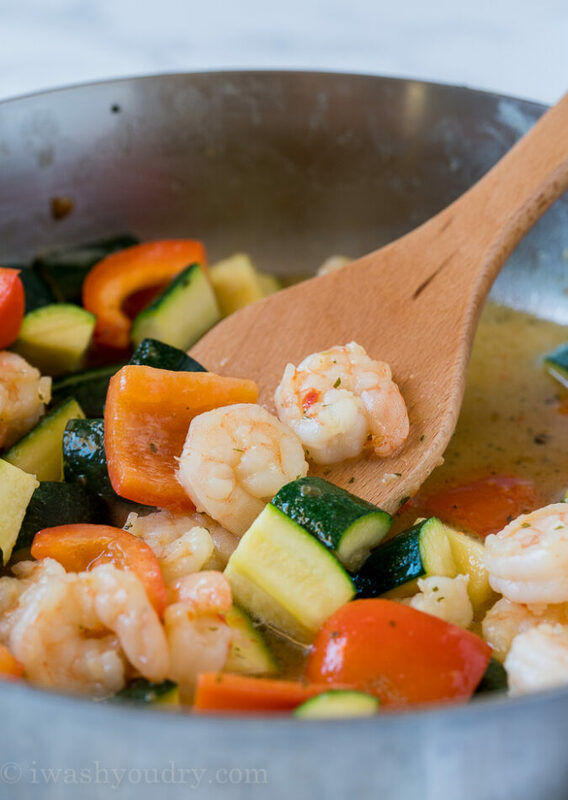 Use your favorite veggies in place of zucchini and bell peppers – broccoli, snap peas, asparagus, etc. Don’t forget to garnish with shredded parmesan cheese and a little bit of lemon zest for an extra punch of flavor! 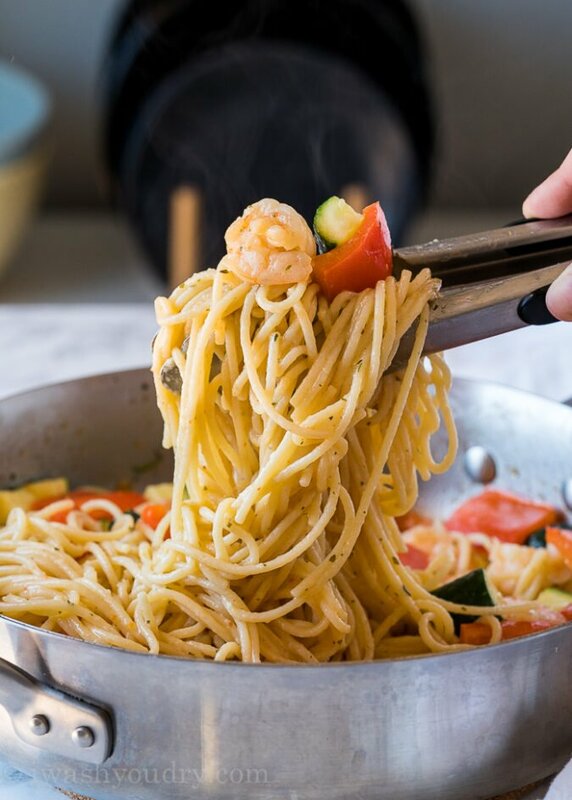 While you’re cooking the zucchini and shrimp scampi in one pan, you’ll be boiling your pasta noodles in another. They should get done around the same time, then you’ll just toss the pasta noodles in the buttery garlic sauce and dinner is ready! 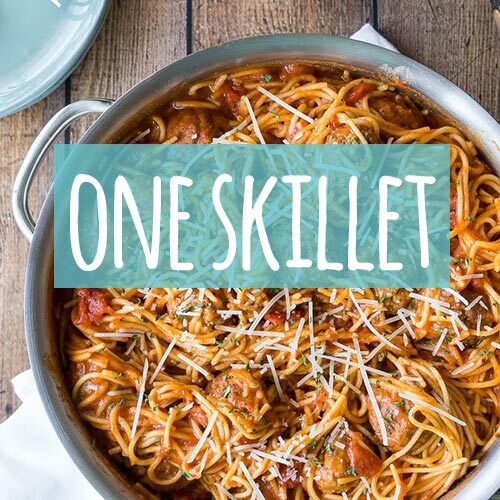 If you’re looking for a quick and easy Summer dinner recipe, this is it! 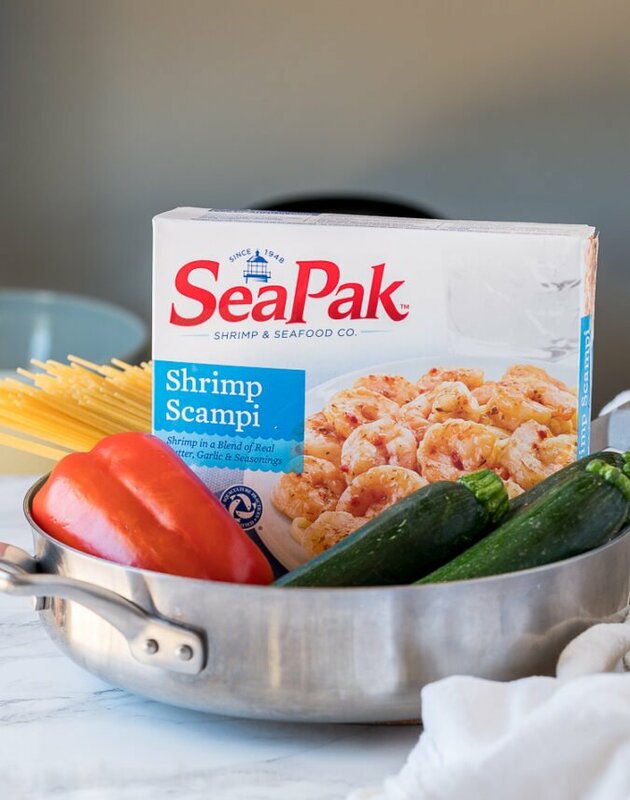 Keep a couple packages of SeaPak Shrimp Scampi in your freezer for when your garden starts to produce and you’ll be ready for a no-fuss dinner in no time! 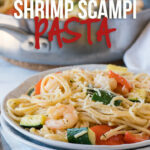 This quick and easy Shrimp Scampi Zucchini Pasta is the perfect Summer dish to enjoy with fresh ingredients. Bring a pot of water to a boil and cook spaghetti noodles according to package instructions. Meanwhile heat a large skillet over medium heat and add 1 tbsp olive oil. Sauté the zucchini and bell pepper for 2 to 3 minutes, until they begin to soften. 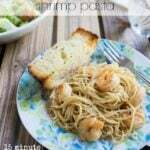 Add the contents of the SeaPak Shrimp Scampi package and cook according to package instructions, approximately 7 to 8 minutes. Add the drained pasta to the pan, season with salt, pepper and toss to combine. Garnish the top with grated parmesan cheese and fresh lemon zest if desired. Enjoy! 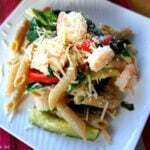 Try subbing the pasta noodles for zucchini noodles for a low carb dinner! This is a sponsored conversation written by me on behalf of SeaPak Shrimp & Seafood Company. The opinions and text are all mine. Shawn is the Owner and Creator of I Wash You Dry. 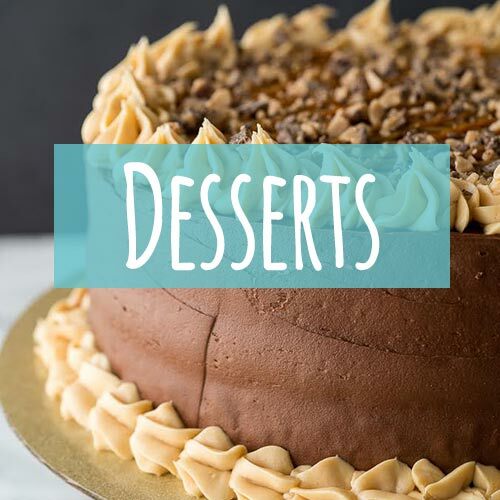 She loves to create and share simple, family-friendly recipes with a bit of life sprinkled in. 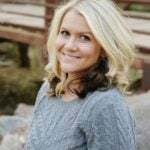 Mom to 4 adorable children and dwells in the desert of Southern Utah. Hi. I am allergic to parmesan cheese, but I am allowed to have mozzarella. Would that work as a substitute? Or any other suggestions? I am thinking I may make this for guests next week. If I do, can I freeze the leftover parmesan cheese to be able to use another time? (I’ve never bought it for myself, but would try this for company). Thanks! Love it. Thank you so much ! You’re welcome! Hope you enjoy it! Regarding your recipe, I have two notes. Cheese and fish can not be together. The fish has a delicate flavor, the cheese a savory flavor that covers too much. In particular, you can accompany parmiggiano with meat sauces, tomatoes, savory pies, salami, ham, gnocchi and even with pears … but never with fish. The second point is cooking pasta …. it is too cooked. 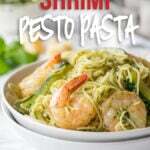 If the pasta is cooked too much, it releases a lot of starch that tends to stick. I suggest you cook it at least 2 min less than the time indicated in the package, and then sauté it in the pan with the sauce.